Save up to 85% on prescriptions with membership! 100+ common prescriptions for FREE, $3, or $6. Plus, save on 1,000+ generic prescriptions. Individual membership is $36 per year. Family plan (up to 6 people, including pets) is $72 annually. Sign-up in only 2 minutes and start saving with your membership immediately! Individual membership for just $36 per year. 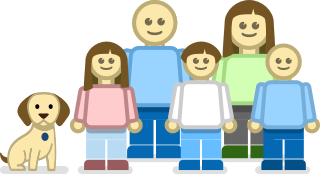 Family plan (up to 6 people, including pets) is only $72 annually. How much can you save with Kroger Rx Savings Club? Club members enjoy prices so low, they often beat insurance co-pays. Ready to start saving with Kroger Rx Savings Club? 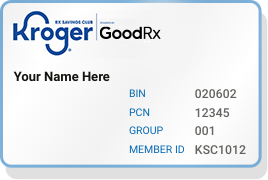 Sign up now and you'll get instant access to your Kroger Rx Savings Club savings card (you'll get one in the mail too). Questions? Call 1-855-912-6346 for assistance. 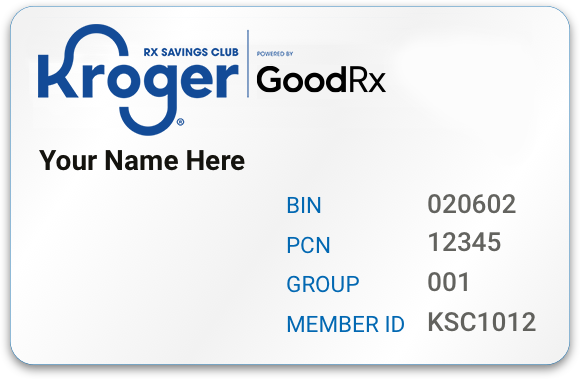 The Kroger Rx Savings Club provided by GoodRx, Inc saves users up to 85% from the pharmacy's usual and customer price, as calculated on projected claim volume. Kroger Rx Savings Club is not insurance. It cannot be combined with federally funded health care programs, including, but not limited to, Medicaid, Medicare and Tricare. The Kroger Rx Savings Club does not meet any creditable coverage requirements under any state law. With Kroger Rx Savings Club, savings will vary. Please visit www.krogersc.com and search for your prescription to see your exact price. The range of savings will vary depending on your prescription. 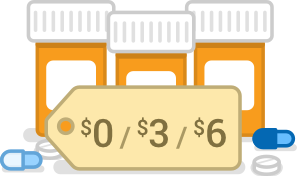 Prices are for specific dosages and days supplies of the drug; prices may vary for different dosages and days supplies. Please visit krogersc.com for exact prices. Kroger Rx Savings Club does not pay participating pharmacies. Kroger Rx Savings Club only provides savings from participating pharmacies. You are obligated to pay for all services provided by participating pharmacies. You can see a current list of participating pharmacies on krogersc.com, or by calling 1-855-912-6346 ( Mon-Fri 8AM–9PM ET | Sat 10AM–6PM ET | Sun 10AM–5PM ET). You will be charged $72 for a family plan or $36 for an individual plan upon registration. You can cancel your subscription at any time during the first 30 days and receive a full refund. You will be charged to the credit card number you provided. Once you are a member, you will have access to pharmacies in the network without any waiting period. Please reach out to 1-855-912-6346 to request specific contact information for the your department of insurance or service of process information for a specific state. To help you manage your prescriptions, we'll email you notifications about your fills (i.e., refill reminders). Your prescription names are not shown in the communications. By providing your e-mail address, you agree to be contacted with such notifications. There is some risk that the information in the communications could be read by a third party. To opt out of emails, please go to "Account Settings." Our plan administrator is MedImpact Healthcare Systems, Inc., located at 10181 Scripps Gateway Court, San Diego, CA 92131.